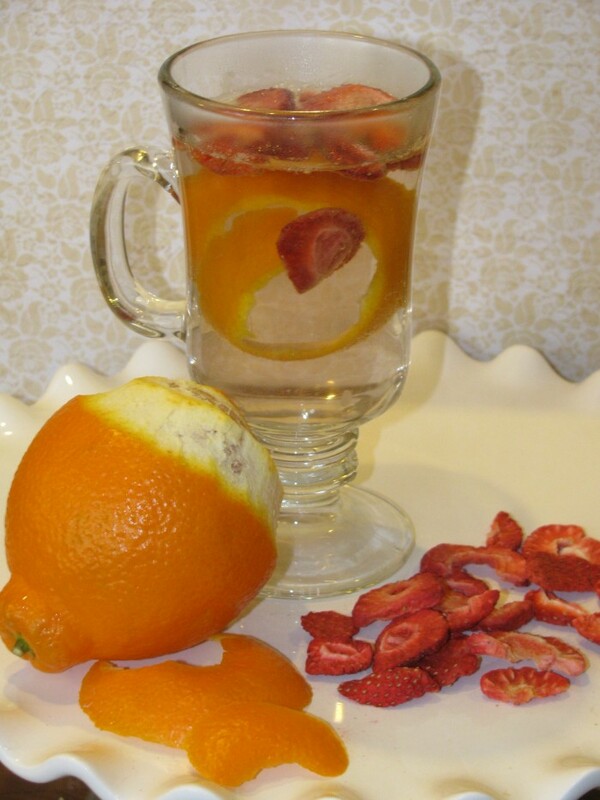 The weather outside may be COLD, but this Hot Strawberry and Tangerine Metabolism Boosting Drink will warm you up and help you lose weight! It contains fruits that are high in Vitamin C which are also big metabolism boosters! 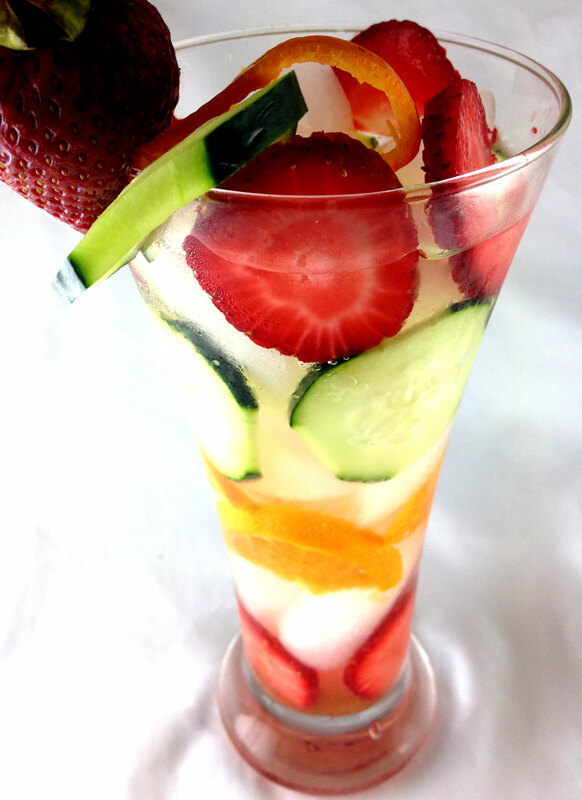 One of my favorite combos are strawberries and tangerines, and this drink is delicious both hot and cold. I recently came across dried strawberries, which means I can have this all year-long but if you can’t find them don’t fret, just slice fresh or frozen strawberries and plan on using a fine mesh sieve, coffee filter or tea bag as they might fall apart. Makes 1 pot of tea or 1 liter of cold drink. 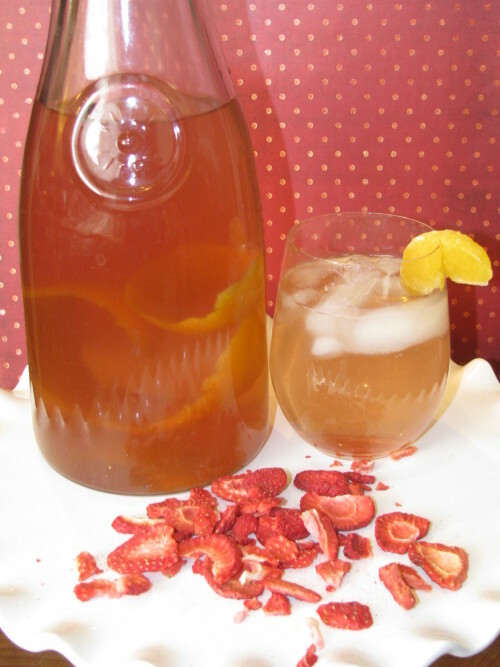 There are two ways to make Hot Strawberry and this Tangerine Metabolism Boosting Drink: 1) Put it all in the tea-pot, 2) Make individual cups. It all depends on your willingness to wash your tea-pot. I have also included a cold version for this delicious drink. Tea pot instructions- Place the tangerine rind and strawberries into a teapot, cover with water and bring to a boil. To serve cover the nose of your tea-pot with a coffee filter or use a fine mesh sieve over your tea-cup to avoid strawberry pulp. Individual tea cups- Boil water, add in 1/4 of the rind and a tablespoon of dried strawberries. Allow the strawberries to plump up and just as they start to fall apart (about 3 minutes) use a fork to scoop them out and discard. 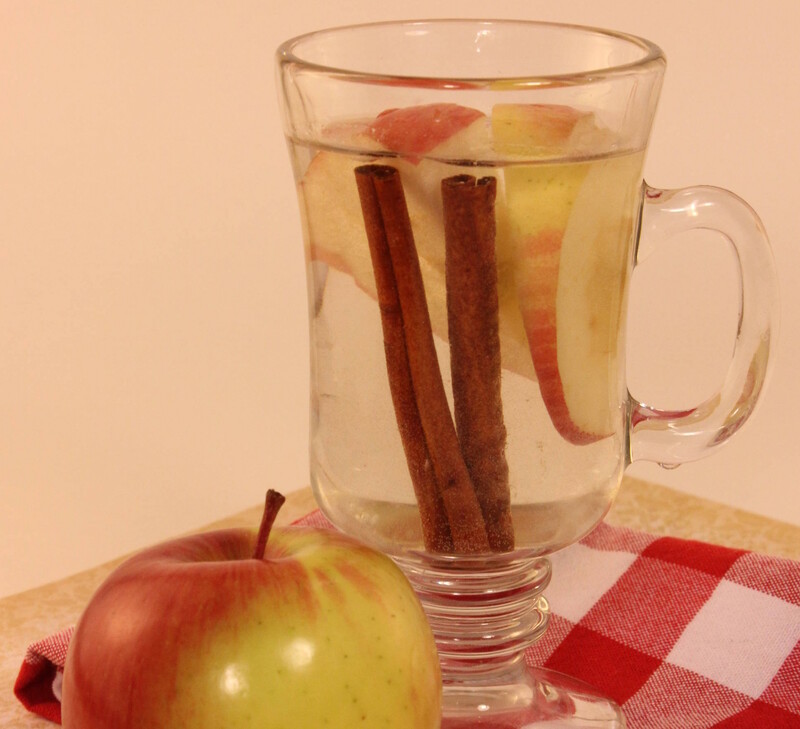 Leave the rind in the tea-cup for both added flavor and beauty. 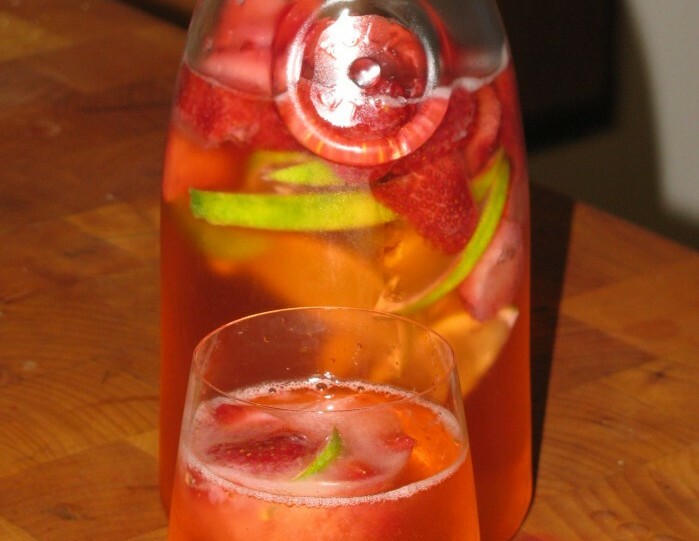 Make it cold- Boil 3 cups (or as much as your tea-pot will hold) of water making the “tea pot instructions” let it cool with the fruit left in then strain into a 1 liter jug discarding the strawberries. Top with water until it is full, pluck out the tangerine rind, rinse and add to jug then place in the fridge to cool. Serve over ice and drink up. If you want to do a bigger jug just double the recipe.